There’s always a misconception that you must be made of money if you can afford to travel so much. It’s no exception to Boracay, Philippines’ numero uno party island. If you can come here annually, you must have a little some some in your pocket. Your parents must be rich. Your boyfriend must be whipped. You must have some kind of dirty ol’ sugar daddy. Or you’re in debt. I love hostels, especially when I’m traveling alone. It’s the perfect place to jumpstart socializing and it’s just friendlier to my pocket. Dorm rooms are usually a hit or miss, but with MNL’s capsule style bunk beds, you’re guaranteed a good sleep after a night of partying. 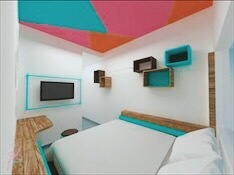 I love the capsule style because it gives you a bit more privacy than the regular bunk beds. If sharing a room with stranger isn’t your cup of tea, you could always opt for a private room, which to your convenience, MNL offers too. 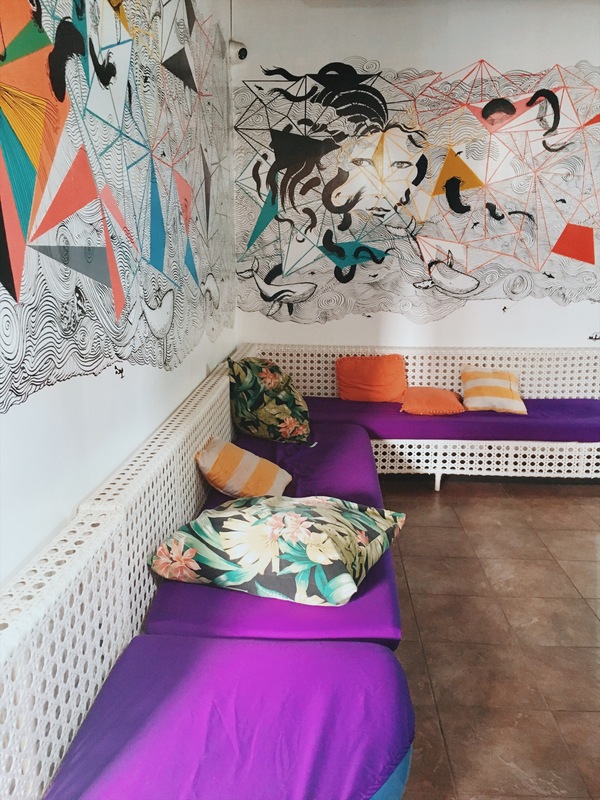 If you’d like your accommodation to feel less hostel-ish, Second Wind is probably more ideal for your taste. They have the coziest boutique style set up on their private rooms, although they also offer dorm beds. I do love their private room complete with a TV and your own private bathroom. Who said you can’t be at full comfort on a peasant’s budget? 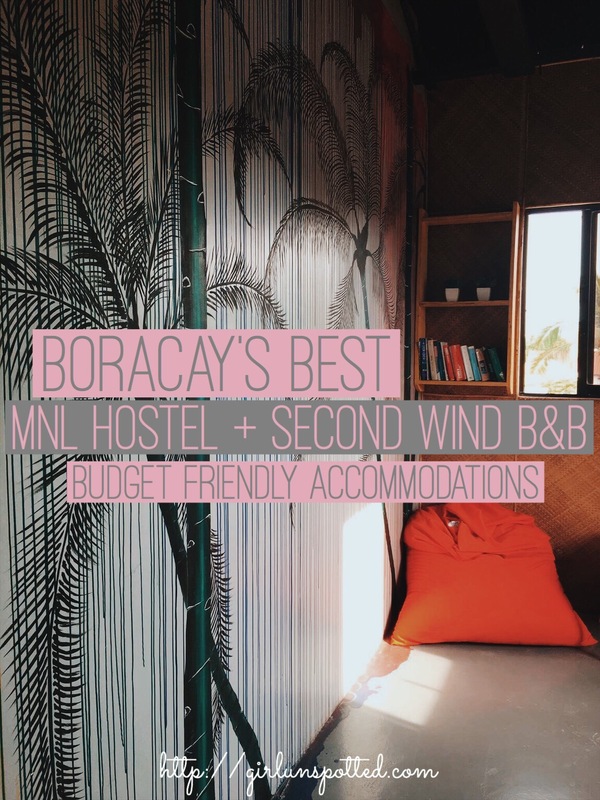 Just like any cheap accommodation on the island, MNL and Second Wind are not beachfront. But before you close the browser on me, hear me out. Their locations are nonetheless incredible. They’re both walkable to the beach, MNL being 10 short minutes away, and Seawind being even closer than that. Another great thing is that since it’s away from the touristy strip of restaurants, their location is a stone’s throw away from more local and more pocket friendly restaurants. Both are literally by Station 2 so even if you crave the hub, you can easily access it. 3.) They have lounge chairs beachfront. Just because these two budget accommodations aren’t cleverly situated right in front of the beach doesn’t mean they’ll hinder you from getting some beach bumming sesh. 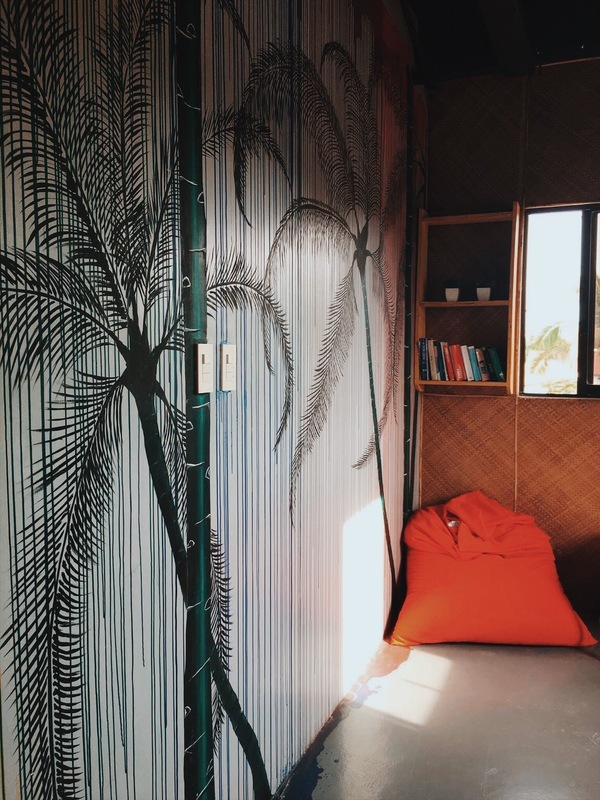 They’re partnered with a beachfront bar in Station 2 which allows their guests to have access to their lounge chairs with just a wave of their key. 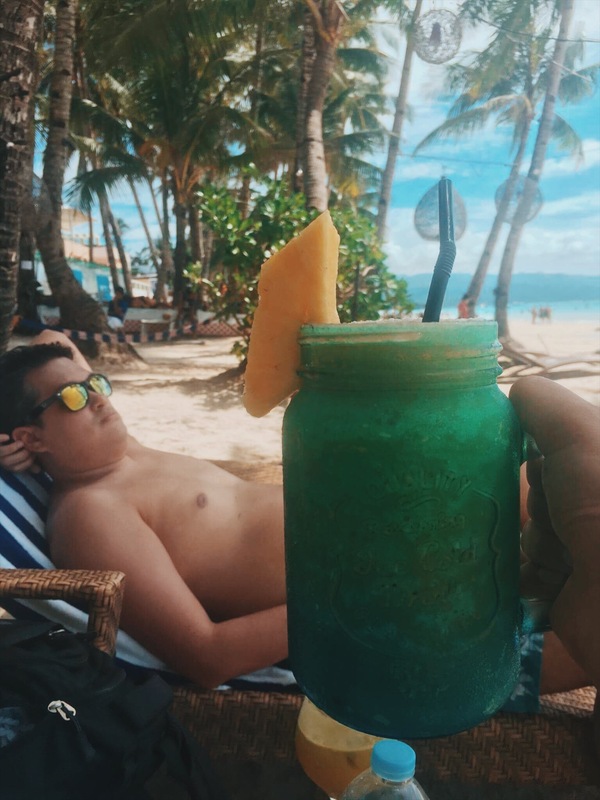 Instead of paying for overpriced drinks elsewhere just to lounge at their chairs, you can beach bum it all day at no extra cost. But if you really need drinks, which I think you will, because you’re in Boracay, you’re already in front of different bars and the world is your oyster! 4.) You won’t feel alone. They say it’s also the people we meet that makes our travel special. So even if you’re traveling alone, all you gotta do is head out to one of MNL’s common lounge, the kitchen, or even better, the rooftop, to meet some people. They hold different events at certain times of the week, and even if they aren’t, people at MNL are super friendly and accommodating that you’ll always have someone to talk to. Their manager, Gellie, was such a sweetheart. She gave me the low down on Antique which made my journey there a lot easier. 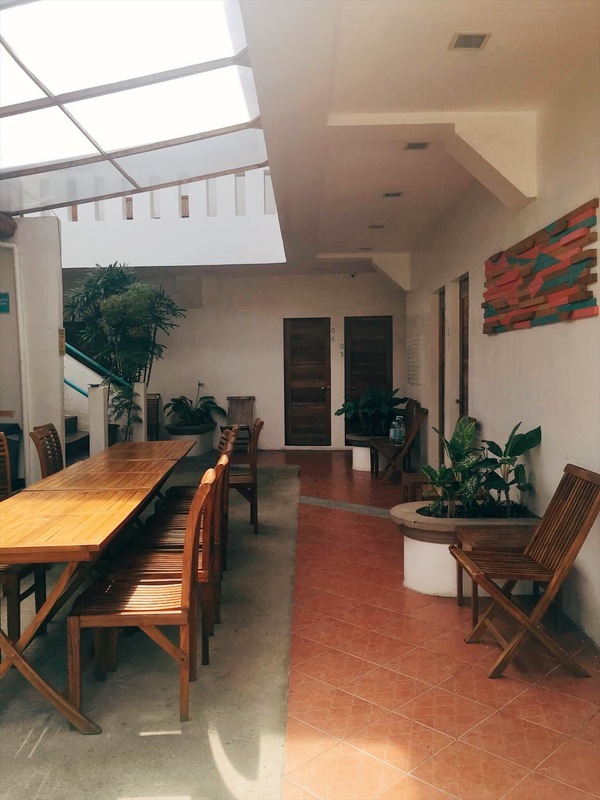 Second Wind also has a public lounge and a kitchen, just like MNL, where they have utilities you can use at your convenience. So don’t be afraid to start chatting at the stranger next to you during breakfast. You never know what kind of adventure awaits you! Do I even need to say more? Comfort, convenience, and it’s affordable af. 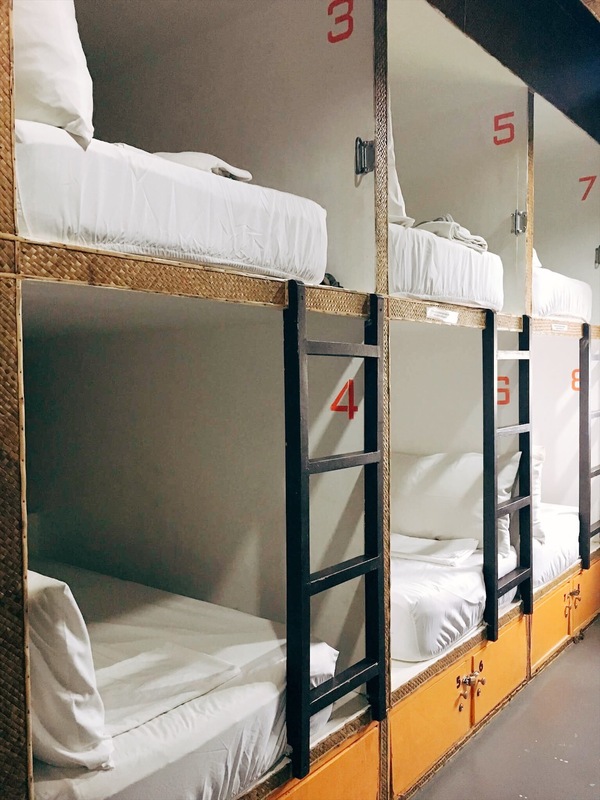 Dorm beds at MNL starts $9 USD/night, inclusive of a simple breakfast meal that will nonetheless fill you up (mostly eggs, fruits, and bread). Second Wind starts at $30USD/night for a private room. You’re getting way more than what you paid for. Traveling smart and sticking to a budget is one thing, but you also deserve comfort. Why not do both when you can? Mic drop. Disclaimer: Thank you to MNL Hostel and Second Wind B&B for hosting me. As always, all opinions are my own and I only recommend what I know would be good for my lovely readers. I have also stayed at Second Wind, and I loved it! I liked that their breakfast was balanced and healthy, but it did get tiring after a while. I hope they now serve up more variations. Also, I’ve only been to Boracay once in my life and I’m not sure I wanna go back. Too crowded for me!